After a year and a half of being closed following a fire, the Blackwater Junction Restaurant, 730 Main Street in Andover, is reopening this month.Elyse Downey and her brother, Greg Hamel, look forward to serving the Blackwater Junction Restaurant customers once again. Greg owned the popular breakfast and lunch hot spot for 10 years. His daughter, Jenny Dougherty, will be another familiar face managing the eatery’s servers, starting after the birth of her third child next month. You will also recognize the menu. The same popular dishes will once again be served: Papa’s Famous Lobster Roll, homemade corned beef reuben sandwiches, the “Betcha Can’t” omelette, sausage gravy on a biscuit, fried seafood (including haddock, scallops, shrimp, and clams), crab cakes, onion rings, lobster benedict, and much more. “My passion is cooking for people,” said Elyse Downey, owner. “I look forward to opening the doors and putting smiles on the faces of our guests.” Re-opening the restaurant was a spur-of-the-moment decision for Elyse, who signed the lease in December. She asked Greg if he would help, and he agreed. 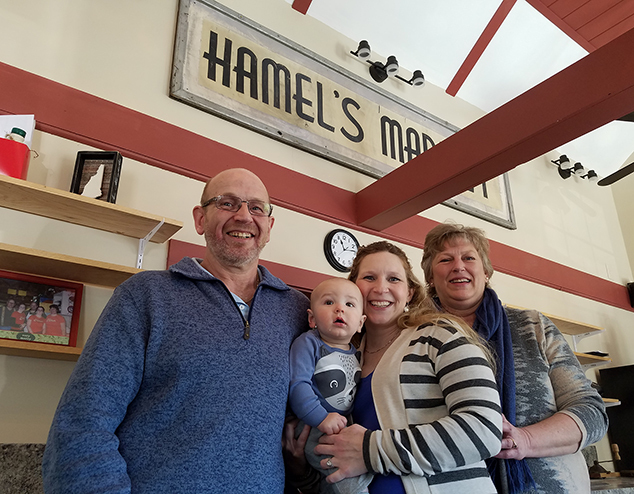 One person who will not be present at this reincarnation of the restaurant is the former backbone of operations, Kenneth Hamel, Greg and Elyse’s dad. “Papa Chubba” passed away this past November. The restaurant’s continued popularity 18 months after closing was proven on social media when a Facebook post about the reopening tripled the Blackwater Junction Restaurant page likes in just two weeks. To date, the single social media announcement has reached over 26,000 people, with over half of those people interacting with the post. 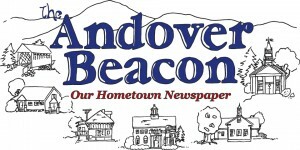 For a rural central New Hampshire community, this social media success is staggering – and a great indication of the excitement for the breakfast and lunch offerings at this local hot spot. The exact March opening date has yet to be determined. Many permits have been obtained. Final deliveries are being made by vendors prior to the state giving final approval. Once the restaurant has passed its inspections, the opening date will be posted at the restaurant and announced on its popular Facebook page. What is new? The building housing the restaurant was recently purchased by Molloy Development Company, owner of the neighboring Circle K Irving. The new owner has invested in new equipment and wiring. Elyse has also invested in equipment and supplies and leases the building. The restaurant will be open year-round, Wednesday to Sunday, 6 AM to 3 PM. To learn more about the Blackwater Junction Restaurant, including its exact opening dates, follow its Facebook page at Facebook.com/blackwaterjunctionrestaurant or call 735-5099.